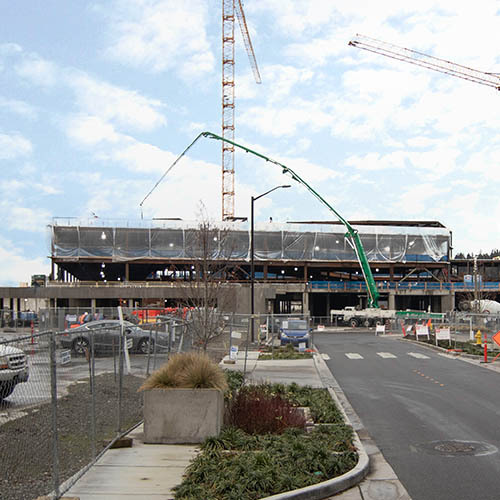 The 3rd & Lenora site is situated in Belltown near Seattle’s retail district, Pike Place Market, and South Lake Union. 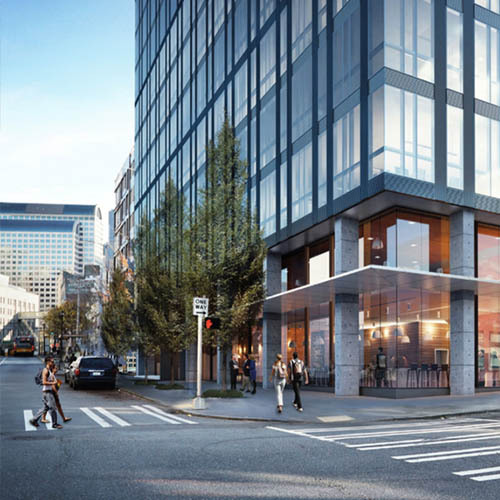 This 36-story mixed-use residential, office and retail space building will allow individuals to live, work, and play all within one spacious and modern facility. 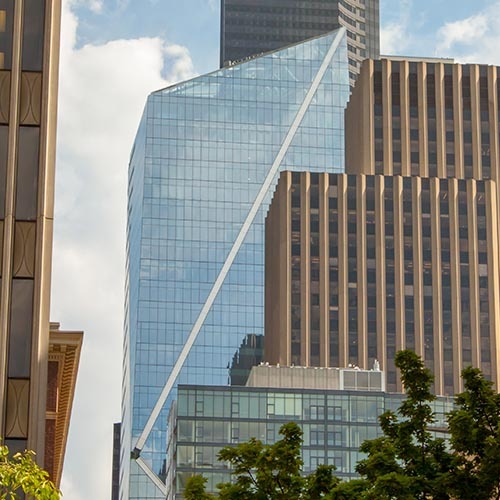 This project is being delivered in two phases—a shell and core and a tenant improvement phase. 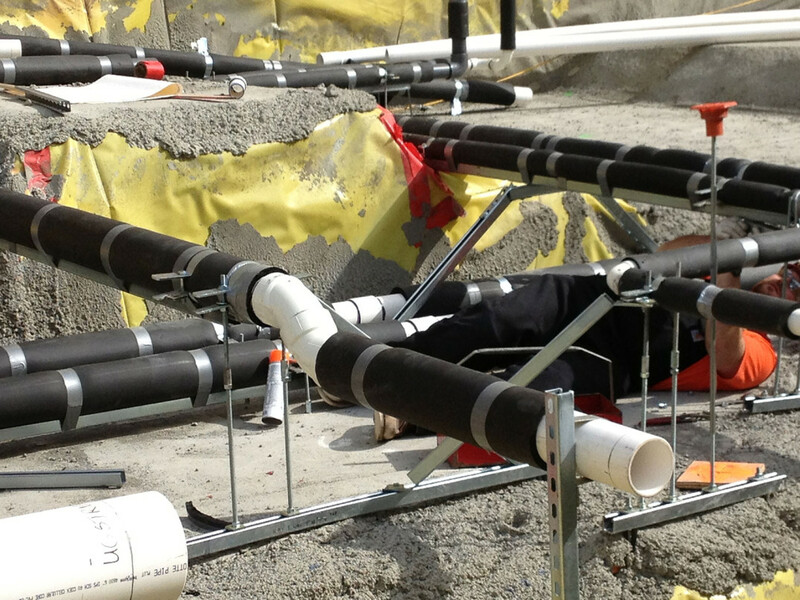 Auburn is the design-build contractor for both phases. 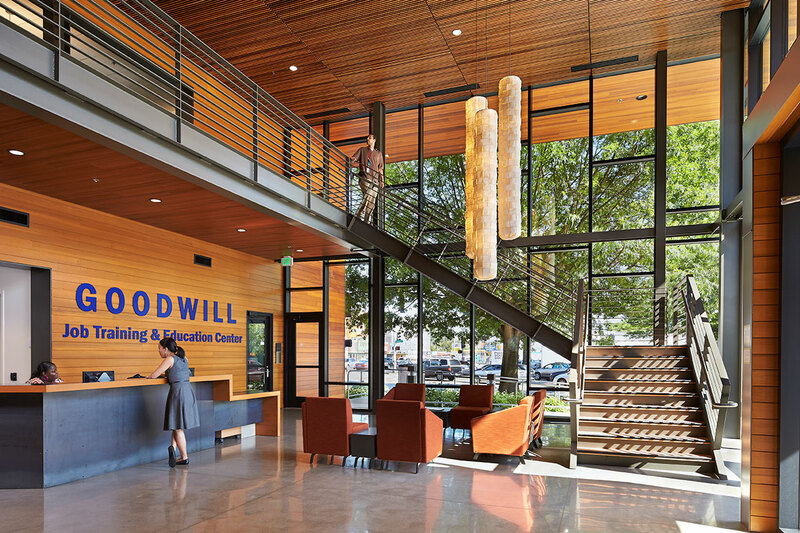 The Goodwill JTE is a two-story office space over one level of ground-level parking comprising a total of 60,000 square feet. The building includes energy efficiency and water-conservation features, including a rainwater harvesting and cistern system. 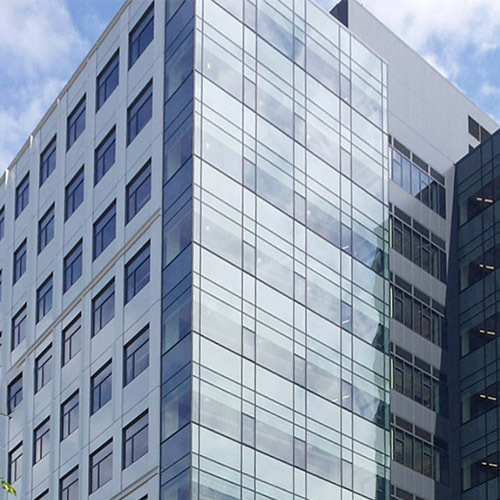 For these efforts, the project received the LEED Silver designation. 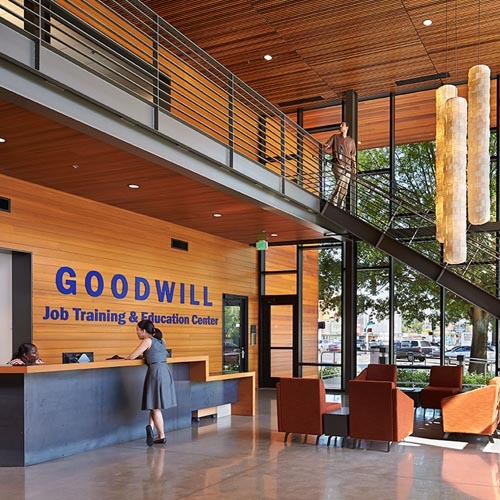 The new building allowed the Seattle Goodwill to increase the number of free education classes they could offer as well as increase the amount of administrative space. 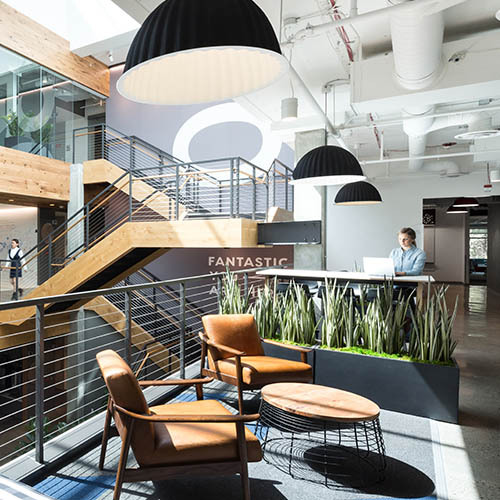 Auburn is the design-build plumbing contractor for this 72,876 SF office campus. 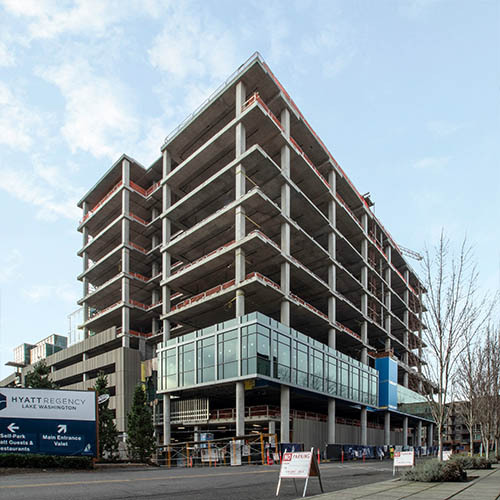 The project consists of six levels of parking and three nine-story towers. 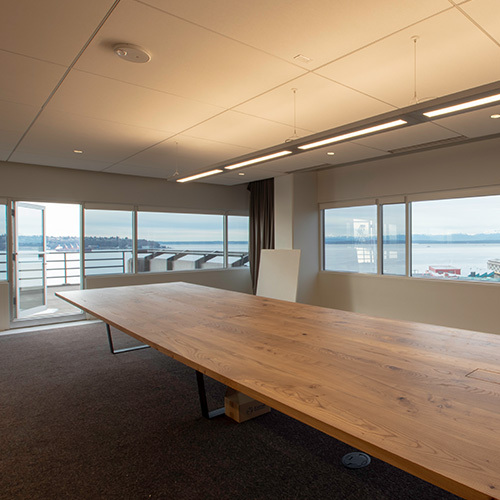 Auburn recently completed full-mechanical renovations at Microsoft’s Pebble Beach Offices. 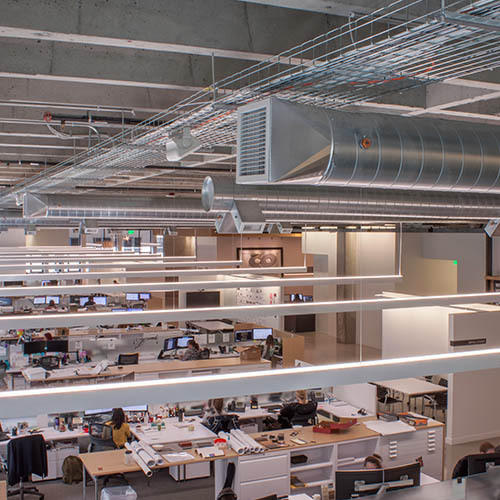 The three-building campus includes 330,000 SF of new mechanical systems supporting complete tenant improvements of the primary office buildings. The team strategically laser scanned existing spaces to provide the engineers and detailers with extremely accurate as-built information early in the design phase. Renders Courtesy of Clive Wilkinson Architects.